Lowry refers to the company's products in his novel Ultramarine; "Now I was telling you about this hungry ship. 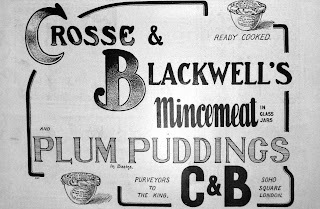 We were carrying a cargo of Crosse and bloody Blackwell's plum puddings and tinned chickens and all sorts out East for the Christmas season. Ruddy murder it was to think of all that food under the hatches and us poor twats forward eating Harriet Lane all the time. "( Pg. 177) and " 'Well, one night this fellow got a catch on the end of his heaving line and we helped him haul it up to the fo'c'sle. And it was a damned great box of - what do you think? 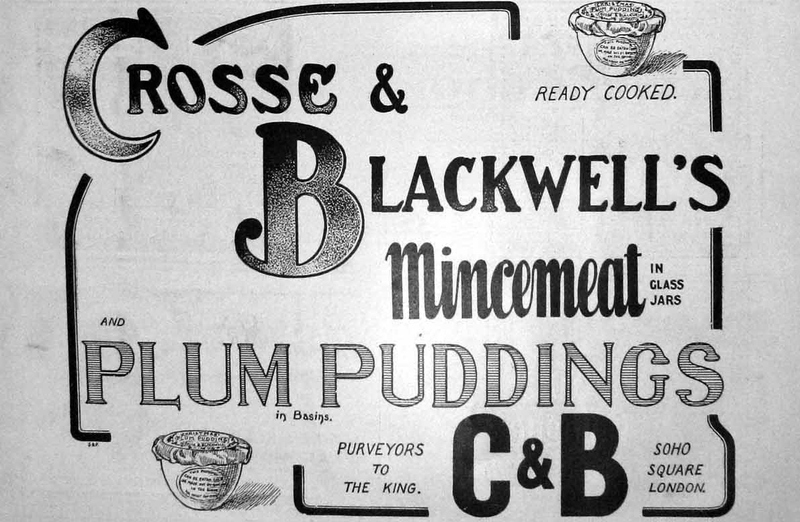 Crosse and Blackwell's tin openers.' 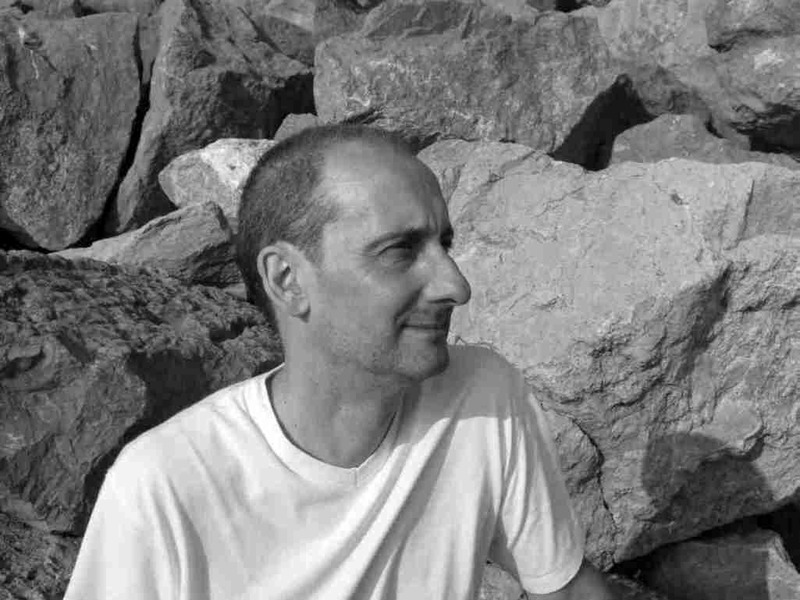 " (Pg. 178). Lowry also refers to the phrase "Purveyors to His Majesty the King" during one of Dana's inner dialogues when he is thinking of his family. The phrase means that a company supplies goods to the royal family by royal warrant. The warrant enables the supplier to advertise the fact that they supply to the royal family, so lending prestige to the supplier. Lowry's use of the phrase may be related to Cross and Blackwell's advertising.